CARA MORNINGSTAR/Sun-Gazette Alexander Reed (7) of Loyalsock, Joshua Richey (9) Shikellamy, and Cameron Cowder (7) Shikellamy chase after the ball Saturday at Loyalsock. Jersey Shore’s Isaac Davis and Loyalsock’s Quinn Serfass were 1-2 and Loyalsock won the team title in the Shikellamy Classic on Saturday in cross country. Davis’ 15:39 was 1:18 faster than Serfass, who was ahead of Williiams­port’s Tyler Holcomb and Ryan Sullivan of Loyalsock. The Lancers’ 91 points beat Warrior Run by 10 for the team title. On the girls side, War­rior Run’s Lauren Trapani beat Loyalsock’s Isabel Sager by 55 seconds to win. Danville won the team title. In the NTL meet, a pair of sophomores won the individual races in Alex Patton of Wyalusing and Jules Jones of Cowanesque Valley. Troy won both team titles. • In girls soccer, Rhalliie Jessell scored with an assist and Charlotte Neylon had two assists as Loyalsock beat Minersville, 3-0. Emma Poirier, Sydney Tremper led Wellsboro to a 1-0 win over North Penn-Mansfield. Poirier scored the lone goal off a penalty kick in the 30th minute. Tremper had three saves in shut out win. South Williamsport defeated Muncy 1-0. Amilee Miller scored in the 21st minute. Megan Webber had 2 saves in shut out. Muncy’s Makenna Snyder stopped 11 shots. Morgan Hopkins recorded two goals as Hughesville defeated Troy, 3-2. Hopkins first goal came three minutes into the game and added another one in the 47th minute assisted by CC Getz. Jayden Leighow assisted Gracie Greico in the 34th minute. Williamsport fell to undefeated Abington Heights, 1-0 in overtime. Hanna Kowalski scored the game winner seven minutes into the overtime period. Jessica Robinson filled in the goal with five saves. •In boys soccer, Mon­toursville fell to Selins­grove 5-2. Jonathan Shae­fer and Bodie Kaufman scored for Montoursville. Shaefer was assisted by Dominic Caputo in the 43rd minute, Kaufman scored in the 67th minute assisted by Angelo Sil­vagni. Kolton Elsayed had all five goals for Selinsgrove. Bryce Phillips and Nathan Wetherhold led Muncy to a 2-1 win over South Williamsport. Weth­erhold assisted Phillips on both goals in the 8th and 34th minutes. South Wil­liamsport’s Dean Seman scored in the 68th minute. Nick Sherayko scored four goals in Hughesville’s 6-1 win over Troy. Sherayko recorded a hat trick in the first half and added another goal in the second half. Austin Lewis had two goals and Justus Leighow had two assists. Connor Albaugh had a goal and two assists as Loyalsock beat Shikellamy, 5-1. • In men’s soccer, Lycoming held off Alvernia for a 1-0 win in MAC competition. Duc Momo scored in the 18th minute assisted by Jordan Logan). Chris Solecki recored three saves in the shutout. Penn College fell to Morrisville State 2-1. Gerry Lua assisted on Seth Bilbie’s gol in the 83rd minute. Malcolm Kane had five saves in goal. • In women’s soccer, Lycoming fell to Alvernia 4-0 in MAC conference play. Alvernia’s Lauren Gough scored in the 37th and 68th minute. Lyco­ming’s goalie duo recorded seven saves. Helen Ross had five, and Madi Welliver finished the game with two. Penn College and Morrisville State ended in a tie after two overtime periods. Ashley Donat scored both goals for the Wildcats in the first and second half. Brianna Sor­riento had four saves in goal. • In college cross country, at the Gettysburg Invite, the Lycoming wo­men finished 24th overall led by Rachel Fritz who placed 78th in 25:18 in the 6k race. Kaylee Long finished in 25:48 for a 95th place finish. Also runing was Angelina Fernandez (30:13), Rachel Ham (31:39) and Keely Lai­dacker (34:41). Lycoming men participated in the 8k race. Daniel Moses placed 144th in a time of 29:37. Maverick Stenger placed 217th with a time of 32:41. (Joseph Ingrum (32:42), Sean Hastings (33:32) and Trenton Jones (45:23) rounded out the top five for Lycoming. The Lock Haven women’s team finished 19th overall in its meet. Rachel Grow led the pack as she placed 65th in 25:07. Courtney Dukman finished 88th with a time of 25:49. Amanda Hasinger (26:03), Monica Auberzinsky (26:30) rounded out Lock Haven’s top runners. Lock Haven’s men paced behind a strong finish by Matt Taylor as he placed 23rd with a time of 26:44. John Davern crossed the line in 27:02 placing 33rd. John Buytenhuys (27:38) and Alex Coburn (27:41) followed. At the Bryn Athyn Invitational. Sydney Trunzo won the women’s race for Penn College in 23:59. Nikki Crow (31:20) and Annikea Miller (32:23) both finished in the top 25. Penn College Josh Velez won the men’s race in 27:17 followed by Chris Traugher (29:21), Ben Erickson (29:48), Chris Hogan (30:29) and Austin Wein­rich (32:13). • In field hockey, Lock Haven used three second half goals to defeat Lehigh 3-1. Taryn Piano, Dana-Lee De Gannes and Alyscia Smith were able to find the back of the cage. Kaite Supey assisted Piano in the 39th minute. •In women’s volleyball, Lock Haven defeated East Stroudsburg in three sets. Breanna McDonald led the Bald Eagles with 12 kills. Shaye Whiteman had a team-high 19 digs, and Kristen Nealon led the way with 39 assists. Penn College split two matches with Bryn Athyn and Saint Elizabeth. The Wildcats defeated Bryn Athyn in three games and fell to Saint Elizabeth in three. Alexis Juritsch recorded nine kills against Bryn Athyn. Sophie Coldsmith led in both matches with a combined 13-11-2 kills-aces-blocks. • In the MAC women’s tennis championships, Lycoming’s Hannah Summerson paved her way into a spot into the semi finals of both singles and doubles. Summerson paired with Julia Nagle in doubles defeating Lebanon Valley 8-3 in the quarterfinals. • In sprint football Mansfield defeated Caldwell 49-19 for its first win of the season. David Butler had 18 carries for 94 yards and four touch downs and Jared Dockett had a 78 yard kickoff return touchdown in the fourth quarter. Boys team: 1. Loyalsock (Loy) 91; 2. Warrior Run (WR) 101; 3. Lewisburg (Lew) 116; 4. Milton (Milt) 150; 5. Danville (Dan) 153; 6. Jersey Shore (JS) 163; 7. Williamsport (Will) 168; 8. Shikellamy (Shik) 173; 9. Mount Carmel (MCA) 190; 10. Southern Columbia (SCA) 253; 11. Mifflinburg (Miff) 277; 12. Central Columbia (CC) 316; 13. Shamokin (Sham) 322; 14. Selinsgrove (Sel) 358; 15. Central Mountain (CM) 367; 16. Montoursville (MTV) 381; 17. Bloomsburg (Bloom) 486.; 18. South Williamsport (SW) no team score. Girls team: 1. Danville (Dan) 45; 2. Warrior Run (WR) 82; 3. Lewisburg (Lew) 105; 4. Williamsport (Will) 156; 5. Loyalsock (Loy) 178; 6. Mifflinburg (Miff) 191; 7. Central Mountain (CM) 200; 8. Selinsgrove (Sel) 220; 9. Milton (Milt) 222; 10. Jersey Shore (JS) 241; 11. Mount Carmel (MCA) 246; 12. Southern Columbia (SCA) 254; 13. Shamokin (Sham) 298; 14. Bloomsburg (Bloom) 370; 15. Central Columbia (CC) 377; 16. Montoursville (MTV) 381; 17. Shikellamy (Shik) no team score. Boys: 1. Alex Patton, Wyalusing, 17:05; 2. Kevin Heeman, Wyalusing, 17:08; 3. AIdan Perry, Wellsboro, 17:24; 4. Zak Smith, NEB, 17:25; 5. Owen Williams, Troy, 17:27; 6. Connor Brought, Wellsboro, 17:47; 7. Maddden Doud, Cowanesque, 17:48; 8. Blake Nelson, Mansfield, 17:53; 9. Logan Newton, Wyalusing, 17;59; 10. Mak Gleckner, Canton, 18:01; 11; George Reynolds, Cowanesque, 18:03; 12. Kale Wiener, Troy, 18:05; 13. Nate Mosier, NEB, 18:13; 14. Dale Brown, NEB< 18:26; 15. Destin Moore, NEB, 18:37; 16. Seth Neal, Cowanesque, 18:47; 18. Bergen Weiner, Wellsboro, 18:50; 19. Jacob Green, Mansfield, 18:54; 20. Sam Shedden, Mansfield, 19:02 Boys team: 1. Troy 31, 2. Wyalusing 45, 3. Mansfield ,62, 4. NEB, 80 Girls: 1. Jules Jones, Cowanesque Valley, 20:05; 2. Hannah Corson, Wyalusing, 20:47; 3. Karli Moyer, NE Bradford, 21:04; 4. Laruan Ensminger, Mansfield, 21:12; 5. Catherine Brown, Wyalusing, 21:22; 6. Anna Bleggi, Wellsoro, 21:42; 7. Cortney Case, Troy, 21:51; 8. Brooke Hinman, Troy, 22:17; 9. Katherine Polakowski, Troy, 22:21; 10. McKenzi Bellinger, Troy, 22:22; 11. Madeline Delosa, Troy, 22:23; 12. Josie Kelly, Canton, 22:35; 13. Emma Harris, Mansfield, 22:41; 14. Carrie Claypool , Sayre, 22:50; 15. Tamara Hess, Canton, 22:53; 16. Halie Buck, Troy, 23:00; 17. Madisyn Baxter, Troy, 23:07; 18. Megan Allabaugh, NEB, 23:13; 19. Brooke Loveland, Troy, 23:14; 20. Cheyenne Brown, Towanda, 23:24 Girls team: 1. Troy 47, 2. Mansfield 48, 3. NEB 50; 4. Towanda 98, 5. Wellsboro, 102 GIRLS SOCCER Loyalsock 3, Minersville 0 L- Rhiallie Jessell 3; L - Jenna Gardner (Charlotte Neylon) 40; L - Neylon (Jessell) 51 Shots: L 14, M 3. Corners: L 8, M 1. Saves: L (Grace Schreckengast) 3, M (Maggie Wigoda) 11. Records: Loyalsock 11-4. Next: Bloomsburg at Loyalsock, Tuesday Wellsboro 1, North Penn-Mansfield 0 N- Emma Poirier (PK), 30:00. Shots: Wellsboro 28, North Penn-Mansfield 3 Corners: Wellsboro 7, North Penn-Mansfield 0. Saves: Wellsboro 3 (Sydney Tremper), North Penn-Mansfield 20 (Alaina McKee). Record: Wellsboro (8-5-1), North Penn-Mansfield (4-10-1). Next game: Wellsboro at Port Allegheny, Monday, 4. Athens at Penn-Mansfield, Wednesday, 4. South Williamsport 1, Muncy 0 S--Amilee Miller, 21:00. Shots: Muncy 4, South Williamsport 13. Corners: Muncy 2, South Williamsport 8. Saves: Muncy 11 (Makenna Snyder), South Williamsport 2 (Megan Weber). Record: Muncy (9-7), South Williamsport (8-5-2). Next game: Montgomery at Muncy, Tuesday, 4. Warrior Run at South Williamsport, Tuesday, 3:30. Hughesville 3, Troy 2 H --Morgan Hopkins, 3:13; T--Nicole McClellan, 7:03. H--Gracie Grieco (Jayden Leighow), 33:48; T--Riley McClellan, 35:14; H--Morgan Hopkins (CC Getz), 47:20. Shots: Troy 15, Hughesville 26. Corners: Troy 0, Hughesville 2. Saves: Troy 3 (Brianna Rathburn), Hughesville 3 (Leah Peterman 1, Alex Snyder 2). Record: Hughesville (5-11). Next game: Milton at Hughesville, Tuesday, 7. Abington Heights 1, Williamsport 0 (OT) AH--Hanna Kowalski, 87:00. Shots: Williamsport 9, Abington Heights 6, Corners: Williamsport 6, Abington Heights 7; Saves: Williamsport 5 (Jessica Robinson), Abington Heights 0 (Abby Steenback). Record: Williamsport (11-6). Next game: Selinsgrove at Williamsport, Tuesday, 7 p.m. BOYS SOCCER Selinsgrove 5, Montoursville 2 S--Kolton Elsayed, 1:30; S--Kolton Elsayed, 17:18; S--Kolton Elsayed, 39:16. M--Jonathan Schaefer (Dominic Caputo), 42:38; S--Kolton Elsayed, 44:10; S--Kolton Elsayed, 56:48; M--Bodie Kaufman (Angelo Silvagni), 66:56. Shots: Montoursville 9, Selinsgrove 7. Corners: Montoursville 8, Selinsgrove 10. Saves: Montoursville 5 (Ian Plankenhorn), Selinsgrove 8 (Cole Catherman). Record: Montoursville (8-8). Next game: Montoursville at Hughesville, Monday, 7. Muncy 2, South Williamsport 1 M- Bryce Phillips (Nathan Wetherhold), 8:00. M--Bryce Phillips (Nathan Wetherhold), 34:00; S--Dean Seman, 64:00. Shots: Muncy 19, South Williamsport 14. Corners: Muncy 3, South Williamsport 1. Saves: Muncy 7 (Josh Hall), South Williamsport 9 (Wheeland). Records: Muncy (5-11), South Williamsport (2-14). Next game: Millville at Muncy, Monday, 4:30. South Williamsport at Central Columbia, Monday, 4. Hughesville 6, Troy 1 H--Nick Sharayko (Justus Leighow), 35:14; H--Nick Sharayko (Justus Leighow), 30:42; H--Nick Sharayko (Drew Bieber), 21:03; H--Austin Lewis (Isaiah Savage), 2:14. H--Austin Lewis (Blake Sherwood), 33:57; H--Nick Sharayko (Steven Millheim), 13:00; T--Will Dibble (Kris Howland), 4:40. Shots: Hughesville 12, Troy 10. Corners: Hughesville 6, Troy 4. Saves: Hughesville 9 (), Troy 4 (). Record: Hughesville (7-8). Next game: Montoursville at Hughesville, Monday 7. 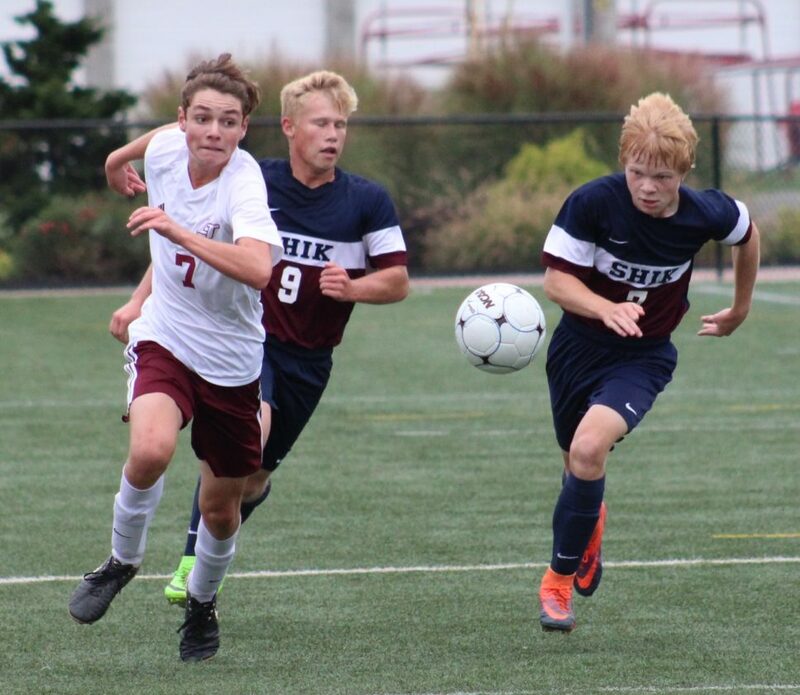 Loyalsock 5, Shikellamy 1 L Connor Albaugh (Alex Schluter); L Zach Stopper (Connor Albaugh); S Aiden Cooper; L Brady Dowell (Charlie Hunt); L Zach Stopper (Connor Albaugh); L Trace Haller (Zach Stopper) Shots on Goal: L 11 S 5; Corners : L 5 S 6; Saves: (L) Connor Rude - 3 (S) Skyler Spickler - 5 Records: Loyalsock 5-10-1 (2-5-1) men's soccer Lycoming 1, Alvernia 0 L--Duc Momo (Jordan Logan), 17:20. 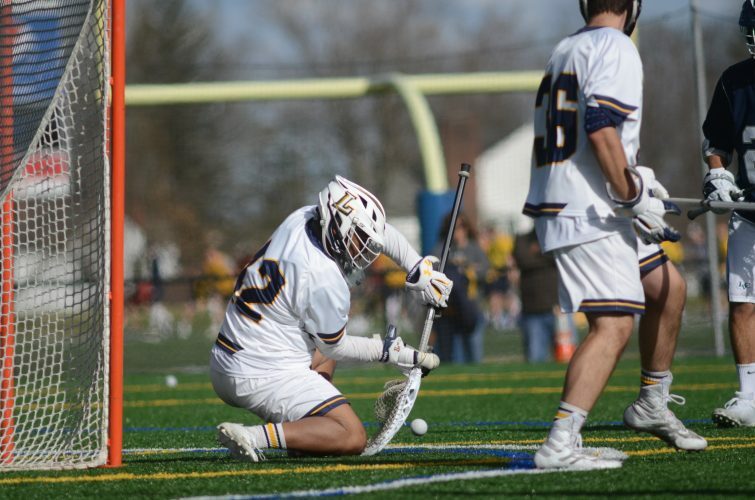 Shots: Lycoming 10, Alvernia 6. Corners: Lycoming 5, Alvernia 2. Saves: Lycoming 3 (Chris Solecki), Alvernia 8 (Zach Rider). Record: Lycoming (14-1). Next game: Messiah at Lycoming, Tuesday, 3:30. Morrisville State 2, Penn College 1 MS--Philippe Nodjo Kossi (Ryan Paddock), 56:43; MS--Jose Figueroa (Julian Rodriguez), 67:41; PC--Seth Bilbie (Gerry Lua), 83:47. Shots: Penn College 18, Morrsiville State 19. Corners: Penn College 7, Morrisville State 8. Saves: Penn College 5 (Malcolm Kane) Morrisville State 11 (Cody Gaines). Record: Penn College (6-9). Next game: Penn College at Keuka, Wednesday, 6. WOMEN'S SOCCER alvernia 4, Lycoming 0 A--Lauren Gough (Claire Brier), 36:29; A--Alison Hyde (Taylor Gough), 43:13. A --Claire Brier (Carli Wasson), 63:13; A--Lauren Gough (Johnna Shank), 68:08. Shots: Lycoming 8, Alvernia 17. Corners: Lycoming 0, Alvernia 6. Saves: Lycoming 7 (Helen Ross 5; Madi Welliver 2), Alvernia 4 (Jessica Plunkett). Record: Lycoming (3-10-1). Next game: Messiah at Lycoming, Tuesday, 3:30. Penn College 2, Morrisville State 2 PC--Ashley Donat (Francesca Timpone), 34:31. MS--Jessica McGee (Kelly Brennan), 53:08; MS--Kelly Brennen, 62:06; PC--Ashley Donat, 78:06. Shots: Penn College 33, Morrisville State 13. Corners: Penn College 8, Morrisville State 3. Saves: Penn College 4 (Brianna Sorriento), Morrisville State 18 (Taylor Gonzalez). Record: Penn College (5-6-3). Next game: Penn College at Keuka, Wednesday, 8. FIELD HOCKEY: Millersville 2, Mansfield 0 MVILLE--Erica Tarsi (penalty), 38:00; MVILLE--Emma Boutcher, 57:00. Shots: Millville 26, Mansfield 12. Corners: Millersville 11, Mansfield 13. Saves: Millersville (), Mansfield 9 (Brittany Ryan). Record: Mansfield (6-8). Next game: Mansfield at Kutztown, Tuesday, 3. Lock Haven 3, Lehigh 1 LH--Taryn Piano (Katie Supey), 39:29; L--Teresa Carotenuto (Lenke Havas), 45:27; LH--Dana-Lee De Gannes, 54:05; LH--Alyscia Smith, 67:20. Shots: Lehigh 5, Lock Haven 7. 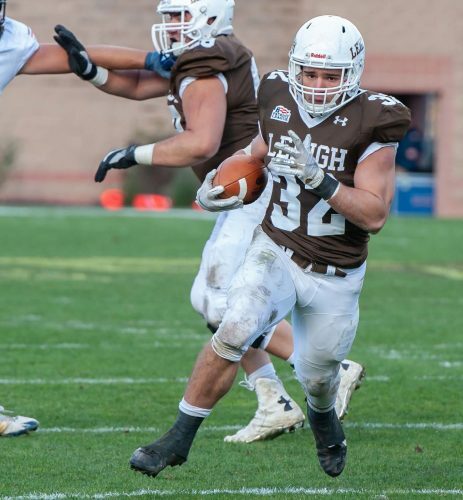 Corners: Lehigh 3, Lock Haven 3. Saves: Lehigh 2 (Paige Innarella), Lock Haven 1 (Paige Stuppy). Record: Lock Haven (9-6). Next game: Bucknell at Lock Haven, Sunday, noon. women's volleybaLL Lock Haven 3, East Stroudsburg 0 Scores: Lock Haven def. East Stroudsburg 29-27; 26-24; 25-23. Kills-aces-blocks: LH--Breanna McDonald 12-1-1; Chloe Williams 11-0-2; Roni Morrison 10-2-0; Holly Shoemaker 0-2-0; Annie Dombrowski 0-0-1. ES--Sarah Smith 16-2-0; Desiree Calxton 9-0-3; Sam Dunphy 8-1-2; Lydia Redman 0-2-0; Courtney Miller 0-0-5. Assists: Kristen Nealon 39; Holly Shoemaker 3; Annie Dombrowski 2. ES--Erica Cunningham 39. Digs: LH--Shaye Whiteman 19; Roni Morrison 11; Kristen Nealon 10. ES--Rosa Veliky 18; Sarah Smith 17; Sam Dunphy 12. Record: Lock Haven (10-11). Next match: Lock Haven at Millersville, Friday, 7. Penn Colllege 3, Bryn Athyn 0 Scores: Penn College def. Bryn Athyn 25-20; 25-21; 25-20. Kills-aces-blocks: BA--Alexis Juritsch 9-2-1; Anja Weisser 7-0-3; Hannah Dewees 6-2-0; Amber Wood 0-5-2. PC--Felicia Webber 10-1-0; Christine Limbert 6-0-0; Sophie Coldsmith 5-8-2; Emalie Marnati 0-1-1; Cassandra Gower 0-0-3. Assists: BA--Amber Wood 25. PC--Sophie Coldsmith 25. Digs: BA--Alexis Juritsch 16; Hannah Dewees 15; Clayshona Cogmon 10. PC--Corianne Wilson 14; Sophie Coldsmith 13; Felicia Webber 10. saint Elizabeth 3, Penn College 0 Scores: Saint Elizabeth def. Penn College 25-21; 25-13; 25-21. Kills-aces-blocks: PC--Sophie Coldsmith 8-3-0; Christine Limbert 7-0-1; Felicia Webber 3-0-0; Emalie Marnati 0-1-1. SE--S Mitarotonda 11-2-0; Yasmin'na Muhammad 10-0-0; Rhonyelle Sowell 4-0-0; Jessica Gareffa 0-5-0; Maura Farley 0-3-2; Stacey Medina 0-0-2; Christy Marte 0-0-2. Assists: PC--Sophie Coldsmith 13. SE--Maura Farley 18. Digs: PC--Felicia Webber 9; Corianne Wilson 9; Sophie Coldsmith 7. SE--Jessica Gareffa 18; Maura Farley 13. Record: Penn College (3-12). Next match: SUNY Poly at Penn College Sunday, 2. Women's TENNIS Lycoming at MAC Championships First round Singles: 1. Mara Trifoi (Albright) def. Devinity Apollon (Lycoming), 6-3, 6-3. 2. Hannah Summerson (Lycoming) def. Amanda Camporeale (Albright), 6-1, 6-1. Quarter-finals: Hannah Summerson (Lycoming) def. Kirstyn Davidson (Stevenson), 6-0, 6-2. Semi-finals: Hannah Summerson (Lycoming) vs. Carly Young (Misericordia), no result First Round: Singles: 3. Kaitlin Hallabuk (Lycoming) def. Kelsi Mentzer (Stevenson), 6-7(4-7), 6-1, 12-10. Quarter-finals: Kaitlin Hallabuk (Lycoming) def. Sarah Chan (DeSales), 6-3, 6-2. Semi-finals: Dana Saliyev (Wilkes) vs. Kaitlin Hallabuk (Lycoming), no result. First Round: Singles: 4. Emily Wichert (Messiah) def. Julia Nagle (Lycoming), 6-3, 6-4. First Round: Singles: 5. Chloe Dennerlein (Delaware Valley) def. K. Parroccini (Lycoming), 6-2, 6-2. First Round: Singles: 6. Brittany Lenze (Lycoming) def. Nina Bretz (Stevenson), 6-0, 6-4. Quarter-finals: Amanda Becker (DeSales) def. Brittany Lenze (Lycoming), 1-6, 7-6(7-4), 10-4. First Round: Singles: 7. Ashley Stover (Lycoming) def. Cara Degnan (Eastern), 6-4, 7-6. Quarter-finals: Rebecca Connelly (Stevenson) def. Ashley Stover (Lycoming), 6-2, 7-5. Doubles: First Round: 1. Devinity Apollon/Kaitlin Hallabuk (Lycoming) def. Pamela Russo/Allyson Wolf (FDU-Florham Women), 8-3. Quarter-finals: Jordan Vasarkovy/Dana Saliyev (Wilkes) def. Devinity Apollon/Kaitlin Hallabuk (Lycoming), 8-4. Quarter-finals: Doubles: 2. Hannah Summerson/Julia Nagle (Lycoming) def. Sammy Bost/Megan Williams (Lebanon Valley), 8-3. Semi-finals: Hannah Summerson/Julia Nagle (Lycoming) vs. Christine Kenny/Nicole DelRosso (FDU-Florham Women), no result. First Round Doubles: 3. K. Parroccini/Brittany Lenze (Lycoming) def. Maeghan Myers/Isabella Fontanella (Arcadia), 8-1. Quarter-finals: Serina Grande/Kira Bradley (FDU-Florham Women) def. K. Parroccini/Brittany Lenze (Lycoming), 8-4. First Round: Doubles: 4. Ashley Stover/Allyson Dugan (Lycoming) def. Daja Wages/Cara Degnan (Eastern), 8-1. Quarter-finals: Nicole Gaetani/Courtney McCowan (Wilkes) def. Ashley Stover/Allyson Dugan (Lycoming), 8-3. SPRINT FOOTBALL Mansfield 49, Caldwell 19 Mansfield	28 7 7 7 - 49 Caldwell 6 6 0 7 - 19 First Quarter M--David Butler 1 yd run (Adam Hutchison kick), 12:05; C--Carl Watson 66 yd run (C. Cornelius kick blockd), 11:51; M--D.J. McLean 38 yd pass from Nick Cherasaro (Adam Hutchison kick), 11:20; M--David Butler 11 yd run (Adam Hutchison kick), 4:02; M--David Butler 19 yd run (Adam Hutchison kick), 2:46. Second Quarter M--David Butler 2 yd run (Adam Hutchison kick), 9:42; C--Zavion Stevens 16 yd run (Zavion Stevens rush failed), 1:54. Third Quarter M--Adam Hutchison 7 yd run (Adam Hutchison kick), 2:01. Fourth Quarter M--D. Washington 3 yd run (Adam Hutchison kick), 4:03; C--Jared Dockett 78 yd kickoff return (C. Cornelius kick), 3:48. Team Statistics	MANS	CAL First downs	22	16 Rushes-yards	38-216	59-181 Passing yards	235	189 A-C-I	33-16-1	26-11-2 Total yards	451	370 Fumbles-lost	1-1	4-3 Penalties-yards8-66	13-122 INDIVIDUAL STATS RUSHING: Mansfield-David Butler 18-94; D. Washington 6-64; Ryan Ritter 4-30; Shaun Jackson 6-24; Adam Hutchison 1-7; Nick Cherasaro 1-1; TEAM 1-minus 1; Joe King 1-minus 3. Caldwell-Carl Watson 4-87; Zavion Stevens 13-84; Quazier Dailey 8-50; Nysir Smith 7-29; Keyshawn Pryer 6-11; Kendell Frink 1-0; Jamaal Carr 2-minus 3; Ryan Mondo 5-minus 7; Vincent Crisafi 13-minus 70. PASSING: Mansfield-Nick Cherasaro 12-25-1-168; Adam Hutchison 4-7-0-67; D. Washington 0-1-0-0. Caldwell-Vincent Crisafi 5-13-1-125; Ryan Mondo 6-13-1-64. RECEIVING: Mansfield-Jeff Bagwell 4-73; D.J. McLean 3-76; Shaun Jackson 3-25; David Butler 2-35; Jakob Woods 2-17; Chad Steinmetz 2-9. Caldwell-Jared Dockett 4-107; Zion Rodriguez 3-41; Carl Watson 2-33; Kendell Frink 1-6; Jamaal Carr 1-2. INTERCEPTIONS: Mansfield-Nic Anastasi 1-18; Gaven Danneker 1-0. Caldwell-Jamar Buckner 1-0. FUMBLES: Mansfield-Ryan Ritter 1-1. Caldwell-Vincent Crisafi 2-1; Zavion Stevens 1-1; Jared Dockett 1-1. Record: Mansfield (1-4).